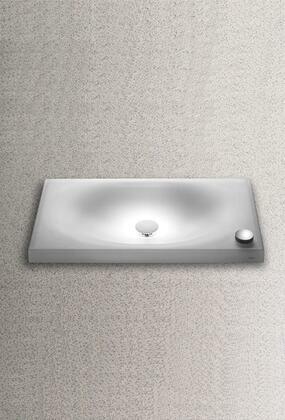 Introduce a stylish, new addition to your bathroom with the Neorest II Lavatory and Faucet from TOTO. Enriched by our long history of design and innovation, this duo is the perfect combination of style, function and relaxation. The lavatory's unique design is inspired by the way water forms on a sheet of ice and is made of Luminist, a material TOTO developed that is scratch and heat resistant. It gives the essence of glass while the LED lights help set the mood for relaxation. The complementary faucet gives it a modern edge with a sleek and slender spout that looks more like a work of art. The faucet control allows for either 2.0 GPM for a regular flow or 1.35 GPM for high efficiency. It also serves as a temperature indicator, emitting a red glow from beneath the control for hot water or blue for cold water. The soft sloping curves of the lavatory coupled with the minimalist profile of the faucet make it an ultra-chic choice for an array of design sensibilities. While the beauty speaks for itself, the advanced technology will excite your senses and improve your entire bathroom experience.